Bill Darlison: Roads for Travelling Souls: What's the Good News? This sermon, first preached in Dublin in March 2007, is the first in a series of 27 sermons on the zodiacal structure of the Gospel of Mark. The others will appear on this blog at the rate of 2 per month. I can remember developing similar attitudes when I reached adolescence and began to question received wisdom a little. Our priests told us that Jesus died for us because he loved us, and this seemed like a decent thing for someone to do, but when we were told that the sacrifice was necessary because God the Father demanded it in payment for human sin it began to appear grotesque. And sin seemed to be everywhere; we had to be constantly on our guard against the temptations of the devil because just one slip up at the wrong time could put our souls in jeopardy. There were sins of omission and sins of commission; venial sins and mortal sins; sins crying out to heaven for vengeance; sins of thought, word, and deed. There may only have been seven deadly sins but there were thousands of others which could wound grievously. They were all deliciously appealing, of course, but were also capable of putting that black mark on the soul that would mean eternal hell for the really unfortunate, and aeons in purgatory for the rest. In school we talked about the categories of sin and the degrees of sinfulness and culpability. For example, when was stealing a mortal sin and when was it a venial sin? (In the fifties, £5 seemed to be the significant sum. Below £5 and it was venial; above £5 and it was mortal. What about four pounds nineteen shillings and eleven pence? Or five pounds and a penny? And what about inflation? Generally we were told to shut up at this point.) And then, of course, there were inappropriate thoughts, ‘dirty’ thoughts. Were they sinful? Could I go to hell for entertaining those thoughts that were more entertaining than any others, and which seemed to my adolescent mind to be constantly present? Yes, was the disappointing answer. And, we were told, God was looking all the time; maybe you could fool your mother or the police, but you couldn’t fool God. He had a little book and he was noting it all down. We prayed for the grace of final repentance, that death wouldn’t take us by surprise with unconfessed sins on our soul. The really scrupulous people – and I’ve known plenty over the years - could find themselves living in a perpetual state of anxiety. How good was that news? So, the Protestants with their grey world didn’t seem to be the recipients of good news either. But this was never the original message of Jesus. His message, his ‘good news’ was very simple: the longed for kingdom of God is here already (Mark 1:15). Of course, if Jesus was promising an economic or political utopia, he was completely mistaken; if anything, things were to get worse for the Jews, and two thousand years later a just and equitable political system still eludes us. But the kingdom of God, as Jesus understood it, is a state of being, not a social arrangement. Entry into the kingdom requires a complete change of mind, a willingness to re-orientate our perceptions. This is the meaning of the Greek word metanoia, which is generally translated as ‘repentance’, but which involves much more than regret for past actions, and it certainly doesn’t mean ‘confessing our sins’. It implies a resolution to begin again from the beginning, to make a fundamental alteration to the way one looks at the world, which St. Paul calls ‘transformation by the renewing of the mind’ (Romans 12:2). Luke’s Gospel tells us that ‘The kingdom of God does not come visibly, nor will people say, ‘’Here it is,’ or ‘There it is,’ because the kingdom of God is within you’ (Luke 17:21). 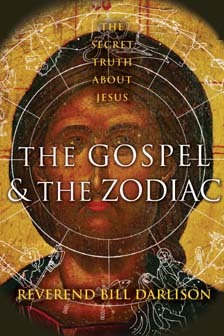 From the Gnostic Gospel of Thomas we learn, ‘The kingdom of the Father is already spread out on the earth, and people aren’t aware of it’ (saying 113), which means that the kingdom of God is not something that we can create with political action and economic redistribution (important though these may be), nor is it something that will be imposed upon us by divine intervention; it is instead something we can discover by correcting our eyesight. ‘When the sun rises, do you not see a round disc of fire, somewhat like a guinea?’ ‘O no, no, I see an innumerable company of the heavenly host crying, “Holy, holy, holy is the Lord God Almighty”....................If the doors of perception were cleansed every thing would appear to man as it is, infinite. For everything that lives is holy. (Haddon, pages 12-13). EXACTLY what I was thinking as i was reading, just before I got to the bit where you quoted it. Love your Blake quote. Wisest saint Brit since Shakespeare.